Maybe you don’t know that but every Mexican cities is divided in “colonias” and so is Puerto Vallarta. Colonia 5 de diciembre in Puerto Vallarta is a quarter nearby Downtown Puerto Vallarta providing several option for a touristic stay and even to rent a home for longer stays. 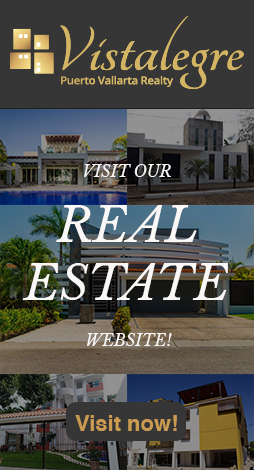 This colonia is located in the north part of town starting at the ocean and reaching up into the mountains and the area is a combination of new luxury homes and condos and older traditional homes giving solutions for everybody and for every budget and requirements. Due to the great position of the colony, many of these homes have spectacular ocean, city and mountain views for some incredible and breathtaking experiences. The area is well situated with easy access to beaches, the Malecón, shopping and great restaurants - not to mention one of the best seafood, fresh fruit and vegetable markets in town. These attractions can easily create a balanced local experience made up of relax, fun but even local experiences such as the traditional Mexican markets and some great places to indulge into the culinary culture. Colonia 5 de diciembre combines the feel of old world Mexico with all the conveniences needed to live a very comfortable life. And because of the great blend of people here (where a large majority is living here permanently), it truly feels more like a true neighborhood more than just a tourist destination and this is a huge chance, giving you a glimpse of the real daily life, full immersing into this new reality. The greatest thing about this place is that, as it happened with other areas of the Jalisco, there were all converted into something with a more modern style and with well-studied services in order to really boost the touristic income and flux. A change was really needed but Jalisco decided to optimize services and switch to the modern side in full respect of the local identity creating a well-structured plan to put tradition first in a new modern key. Colonia 5 de diciembre is incredible for tourists as rich in attractions, things to see and do and because of its strategic position between the Puerto Vallarta city’s center and the Malecón. This area is typically used as a residential area with incredible solutions for housing according to different requirements and needs. In colonia 5 de diciembre you can easily find the best solution for you if you are a tourist looking for a hotel, a flat or even a condo and the price per square foot tends to be lower than that in the south side of downtown Puerto Vallarta. There is something for everyone in this neighborhood with prices to fit any budget. Basically this place is great for a stay made up of fancy solutions and the perfect strategic position to explore Puerto Vallarta, all the nearby areas and, most of all, to spend some quality time at one of the local beaches and marveling at all its attractions. When you arrive in Bucerías, the first thing to enchant you will be the simple charms of this traditional Mexican town with cobblestone streets, brightly colored homes with enormous wooden doors and an overall feeling of tranquility. The ambiance is further enhanced by the serene ocean, friendly people and impressive sunsets that can be admired from the panoramic highway. Bucerías is one of the most visited destinations of the Riviera Nayarit among national and international tourists alike. These visitors come in search of fun and relaxation in this pristine destination, known for its fine sands, colorful hotels and tranquil surf, perfect for young children who enjoy floating over the gentle waves on inflatable toys. Here, adolescents love to sail, kayak or jetski, and tourists of all ages delight in the wonders of the beach as they rest under nearby thatched-roof huts. It is common to see people bicycling down the streets of Bucerías towards the beach or walking through the communal market to shop for items such as silver jewelry, handicrafts, clothing and traditional sweets. On the corners of the main streets of town are restaurants and bars with a decidedly tranquil ambiance where you can relax while drinking a glass of lemonade or enjoying a delicious ceviche (lime-marinated seafood) tostada or shrimp cocktail. And in the Main Plaza, you can observe the daily comings and goings of the locals as you enter the picturesque church or walk a few meters towards one of the safest beaches in the region. This beach also happens to have recently been listed among the cleanest on the Mexican coast. Bucerías is so attractive that many visitors, especially foreigners, even decide to establish their second home here in this enchanting town. So surround yourself with the delightful smells, tastes and sounds as you are immersed in the living tradition of this time-honored small town on the ocean shore. Do you want to explore the most authentic and historical part of Puerto Vallarta? Well, there is a specific area of the city you should totally explore to make the most of this side of your trip there: Downtown Puerto Vallarta. This is basically the main center, the heart of the traditional and historical background you really need to visit to understand something more about the local roots, culture and to marvel at the outstanding beauties and attractions for a complete travel experience. The Malecón (oceanside walk) from the Rosita Hotel south to the Rio Cuale. Right at the beginning there is a fishmonger, right on the beach, where in the morning you can buy fish right off the boat! On the way to the main Plaza, you’ll see many sculptures, there’s a free, two hour, weekly walking tour for this, see Weekly Events. At the Plaza the City Hall is on one side and the Our Lady of Guadalupe Church is one block inland. There’s also a historical building one the corner of Juarez and Iturbide, which was the first theater in Puerto Vallarta, The Saucedo Theater was built in 1922 and there’s a plaque on the Iturbide side wall. If you want to keep your shopping traditional and your experience authentic go to the flea market and you will be able to live an incredible experience just as a local. Acrossing from the Plaza, you will see the Arches to the rear of the Aquiles Serdan Amphitheater, where there are many different performances in the evenings. On the south side of the Amphitheater is Naval Museum, with a lot of ship models and the history of the navy in Mexico and a nice coffee shop. Considering the maritime history and identity of all Jalisco’s area, places like this one are a must to get to know a little bit better this area in a proper way going back into time. Isla Rio Cuale, is a great place to stroll at as its relaxing scenario and being located between the two bridges where you can find many vendor stands selling the same articles that are sold in the famous Flea Market, but open air. On the beach side there’s a great place to deepen your knowledge of local culture and historical background: the Museum of Anthropology. These are just some things you can do in Downtown Puerto Vallarta. We highly recommend you to take your time and go for a walking tour to really appreciate its beauties and hidden corners for an outstanding and authentic experience. La Cruz is a wonderful fishermen village nearby Puerto Vallarta that is so nice to visit and to explore to discover the maritime and natural side of this area. Located about 30 minutes driving distance from Puerto Vallarta this place can be the perfect destination for a day-trip to explore another side of this incredible area to make the most of your Mexican experience! As we all know at this point, during the last years Jalisco boosted its own popularity and studied several strategies in order to improve its touristic income and create the perfect structures and services to welcome growing numbers too. La Cruz quickly became a big deal as part of a larger tourist development called Riviera Nayarit. This evolution process started in 2008 when the harbor of La Cruz was revamped and took the name of Marina Riviera Nayarit. What this is about? Basically it is a modern marina with 340 slips that can accommodate vessels from 31 to 400 feet making La Cruz one of the main touristic hubs and the perfect place for sailing and cruising experiences exploring the coast. Marina Vallarta is basically a beachfront model tourist community located next to the Puerto Vallarta International Airport, between a golf course and a marina. It was created at the end of the 1980s and was quickly "copied" by other tourist destinations such a Cancún, Los Cabos, Mazatlán, and Ixtapa. It functions almost as a self-sustainable entity, where tourists can find absolutely everything they may need during vacation including restaurants, bars, shops, and the Plaza Marina shopping center with a Comercial Mexicana supermarket. Marina Vallarta knows how to catch travelers interest and curiosity being a is a very pleasant and beautiful area to visit on a lazy afternoon. If you arrive by car, you will first notice a big whale sculpture at the main entrance, designed by Octavio González in the 1990s and sponsored by local Marina businessmen. You may park your car at the Nima Bay building, which has numerous shops, cafés, and restaurants that cater to both tourists and locals. Nima Bay opens to a marina promenade, where the main attraction is the lighthouse with a bar at the top, at the end of Timón Street. The promenade stretches along modern vessels and offers numerous restaurants for breakfast, lunch, and dinner. This is also an ideal place to go on a fishing tour. Renting a boat is extremely easy, and you will surely be approached by many people offering you one. So, if you want to take some time and switch your exploration to the waterfront Marina Vallarta is your best option as it will give you several attractions and activities to try and, most of all, amazing views for unforgettable pics and relaxing scenarios! Close to Puerto Vallarta in the center point of the Banderas Bay at the Pacific Ocean you can find Nuevo Vallarta Mexico, a luxurious and spacious hotel zone that had been build up during the last 15 years. Nuevo Vallarta, with its long sandy and shelf water beach is situated about 25 minutes north to Downtown Puerto Vallarta, and about 10 minutes to the local Diaz Ordaz airport, in the Mexican state of Nayarit. Nuevo Vallarta is the most important travel destination of the so called Riviera Nayarit. 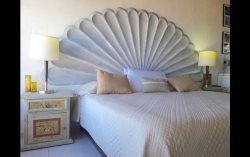 This place was built in order to optimize the travelers’ experience in Puerto Vallarta and to really offer even a luxurious scenario besides the most traditional and authentic you can easily find in the city center or in its nearby areas. Of course, this modern project, always keeps in mind what’s really important in Puerto Vallarta as everything is strictly related to nature and to its most precious historical background. This new luxurious approach is what’s helping Puerto Vallarta becoming a huge big deal into the travels world. Puerto Vallarta has itself several areas and each one of them provide some attractions and highlights to really appreciate every side of this city and its beauties. Puerto Vallarta’s Romantic Zone is a unique place where you can stroll, relax and admire something more about the typical culture and entertainment. This area is full of surprises with several bars, restaurants and attractions for both locals and tourists because of its vibrant, colorful and relaxed atmosphere along with an outstanding number of amenities available within one defined area of the city. Here you will find the highest concentration of restaurants and bars in all of Puerto Vallarta. And for accommodations there are a good number of great budget hotels, a few hostels, very lovely boutique hotels, as well as a fantastic inventory of rental condo options, most of which are within walking distance to the beach. What’s hot in the Romantic Zone is that it is the perfect synthesis between exciting activities and the traditional Mexican culture. Those travelers looking forward to sprawling resort properties will not find those types of accommodations in the Romantic Zone as those types of resorts are located in the Hotel Zone, with the some mega all-inclusive properties primarily located in Marina Vallarta and Nuevo Vallarta. But make no mistake about it, the Romantic Zone is a very special place and many visitors find that forgoing a stay at a large luxury resort complex outside the Romantic Zone is well worth the trade-off of being in the center of all the action and of the good life. Located nearby Puerto Vallarta, Sayulita is the perfect spot to take things to the other level and switch your vacation to the most dynamic and natural side of your Mexican journey. Basically, there is one single word alone that is enough to sum up the entire vibrating rhythm of this picturesque and vivid corner of the Mexican Pacific: surf. The lovers of this sport contribute to giving Sayulita its atmosphere of authentic relaxation and cosmopolitanism, the mystical and colorful background of huichol art. Cobbled streets, art galleries, cafes and restaurants, with their many proposals to satisfy your palate, will make you feel like in a typically Mexican pueblo, in the style of San Miguel de Allende, with the pleasant advantage of having the sea at very few steps. To whom do we recommend it? Sayulita is a perfect place for adventure lovers. No matter your age, whether you came with your family, friends, or whether you are enjoying a couple's trip: what really characterizes the tourist coming to Sayulita is the desire to experience the vast choice of new activities from surfing at the beachside camp, wanting to meet new friends from every corner of the world. In this Paradise of the Riviera Nayarit you can rest only in the evening: in the daytime, in fact, adrenaline and cheerfulness will know how to keep your senses and hearts always awake.